Protein expression will not only be determined by physiological changes of the cell, post-translational modification (PTM) is also a critical factor. The traditional method of identifying PTM site of a protein is done by antibodies, which will be affected by the specificity of an antibody, and also by a chance that there is no antibody that can bind to the specific PTM site. 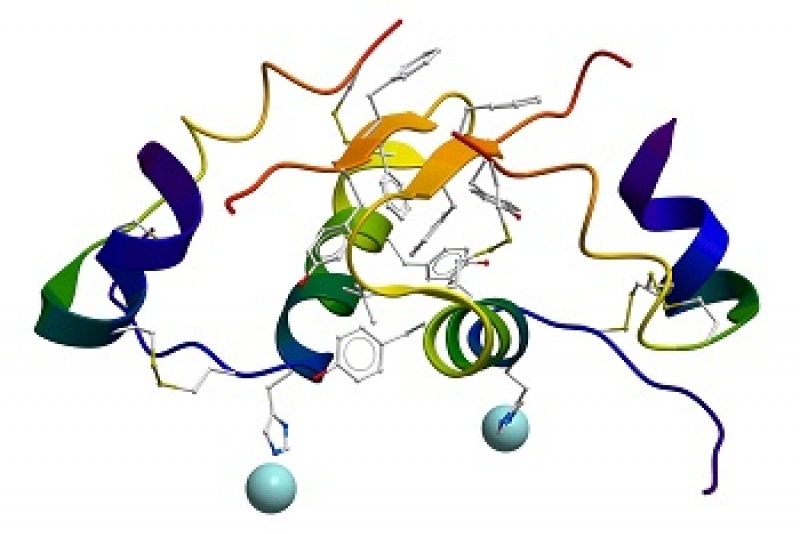 Using mass spectrometry method can not only analyze and identify all the possible PTM site of a protein but also it is much more direct than identifying through an antibody, which can be more convincing. Using phosphorylation site identification as an example, after digestion with protease into small peptides, we use TiO2 column (2D-TiO2-LC-MS) as an affinity column to exclude the non-phosphorylated peptides and analyze the phosphorylated peptides through mass spectrometry. After comparing with the database, we will note the amino acids that might have phosphate as high possibility of phosphorylation, and these amino acids will be further analyzed and verified like the picture down below. Q1. Must I provide purified protein? A: If you wish to study a specific target protein, we strongly suggest you purify your protein until the target protein has the highest sequence coverage in the sample. Q2. What types of PTM sites identification do you offer? A: We analyze every known PTM site. But we do not do enrichment for samples that are identifying phosphorylation and N-link site. Q3. Can we purify the protein through gel-cutting? A: Yes, but gel-cutting will loss partial peptides during elution. Q4. Are there any limitations for in-gel samples? A: The size of in-gel samples should not exceed 3x8x1.5mm. We will charge additionally if the gel size is bigger than our standard. For sequencing analysis, we don't suggest in-gel samples. In-gel samples will effect the efficiency of peptide elution, which leads to lower coverage. Q5. Do we have O-linked glycosylation sevice? A: No, we don't. We don't have the relative instrument and software for image analysis. Q6. Do we have non-common post-translational modification? A: You can see our PTM list first. If the modification is not on the list, please provide some references for us to evaluate. Q7.Do you provide enrichment service?